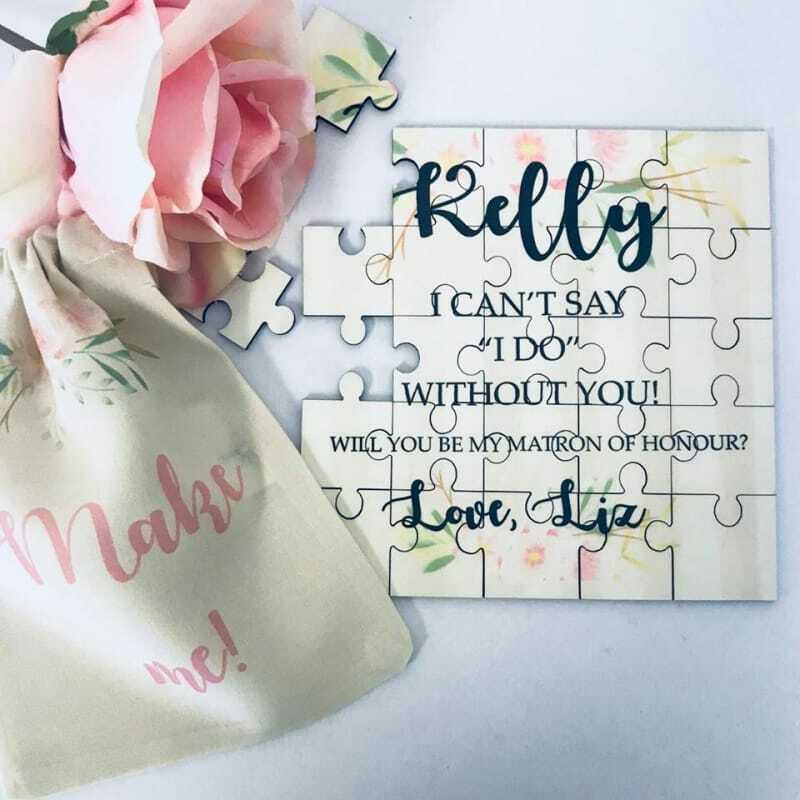 Most of the text on our personalised jigsaws can be changed when you click through to "PERSONALISE ME" here you will be able to change colors, text and more! Then let the recipient piece together the message until it's finally revealed! Presented in a drawstring gift bag (See product photo). What a fun way to get your message across, also a lovely keepsake for the recipient! Your puzzle will be sent to you flat assembled so that you can take a peak before breaking it apart and giving it to the recipient. 25 piece Jigsaw made from thick MDF, with glossy finish.